The big man enjoyed the successful centenary season and although Celtic faded slightly in the next season, Mick was instrumental in them winning the Scottish cup. In April 1989 he scored his only goal in Celtic colours when he thundered home a cracker of a header against Hibs in the Scottish Cup semi final after only two minutes play. Hibs had a fair team at the time and fancied their chances on the day as they had a decent forward pairing in Steve Archibald and Keith Houchen, ably backed by a young John Collins. 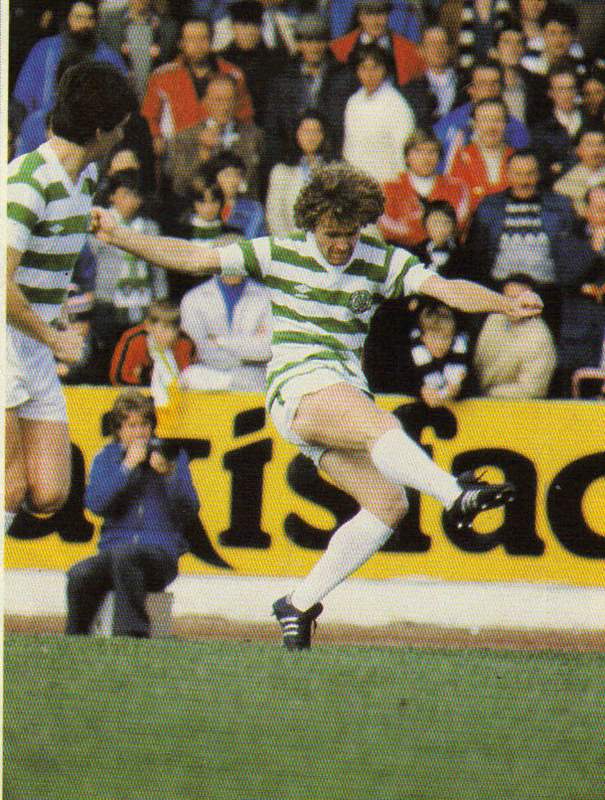 However Celtic’s centre back line of Mick and Roy Aitken more than held their own and the game was over by half time with Celtic having romped into a fine 3-0 lead. 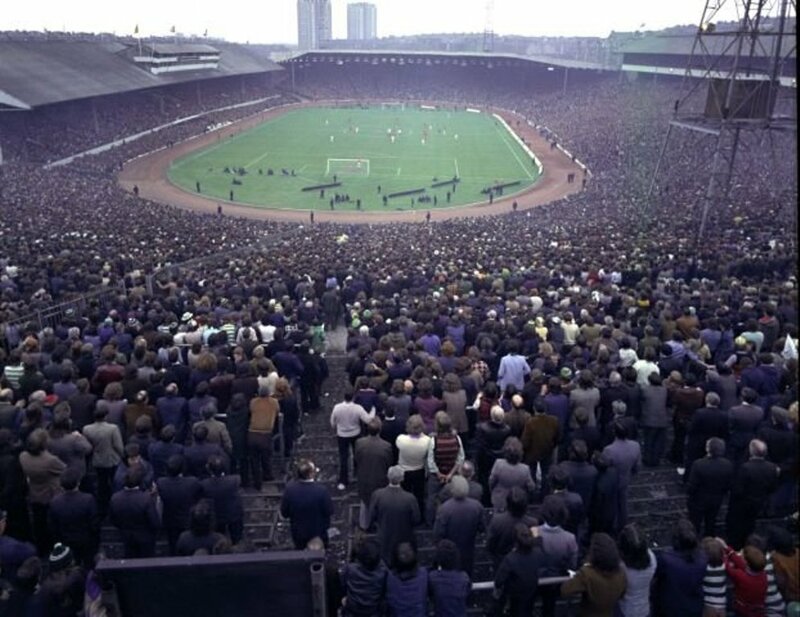 This game was played in a rather eerie atmosphere at Hampden Park. Only 24 hours previously 96 Liverpool fans had lost their lives at Hillsborough in Sheffield and as we stood on Hampden’s slopes that day many of us recalled the massive crowds at Hampden, Parkhead and Ibrox through the years, in games that we had attended, and realised it was only for the grace of God that more serious incidents akin to Hillsborough and the Ibrox disaster had not taken actually taken place. That game took Celtic through to the final against Rangers. That day at Hampden was the hottest I have ever experienced at a Celtic match as the Celtic fans in those days stood on the open terracing and endured the blazing sun. Things were hot on the field also as Rangers were overwhelming favourites on that afternoon and aiming for the treble but Celtic pulled of a shock mainly due to the inspirational central defensive partnership of Mick McCarthy and Derek Whyte who were absolutely immense that day in the cauldron of Hampden in an Old Firm final. Mick McCarthy qualified for Ireland through the grandparent ruling and when Jack Charlton took over as manager of the Republic of Ireland in 1986 he controversially dropped the classy David O’Leary for the rugged talents of big Mick. Charlton much preferred the likes of McCarthy, Kevin Moran and Paul McGrath to O’Leary and although the initial decision was questioned by the Irish fans and media, big Mick was to win them over with some fine displays. He was inspirational in Ireland’s fine performances in Euro 1988 and in the 1990 World Cup. Against England in the European Championships he was somewhat ridiculed by Brian Clough on TV in the pre match assessment when Clough questioned his mobility and pace but the big man was to have the last laugh when Castlemilk’s own Ray Houghton popped up to head home a fantastic winner to write Irish football history. In later years he was to manage the Republic and had to endure the Roy Keane affair in Saipan which was an infuriating experience for those of us with pro Irish tendencies. The great Irish patriot, Robert Emmett, famously said that his epitaph should only be written when Ireland took its place amongst the nations of the earth. In Japan 2002 Ireland was now taking its place amongst those nations and only after countless Irishmen and women had given their lives in the process but this was clearly not enough for Roy Keane. If it had come to an old fashioned ‘square go’ between the two men then the bold Roy would have been on to a second prize. Mick left Celtic in the summer of 1989 for Olympique Lyon and Celtic were able to recoup their half million pounds investment. Eddie Pearson has long lamented the fact that in the 18 months after the centenary year Celtic lost a vast amount of experience with McCarthy, Aitken, Burns, Stark, McGhee and McAvennie all departing. Those men were the mainstays of the club and it took years to replace them. 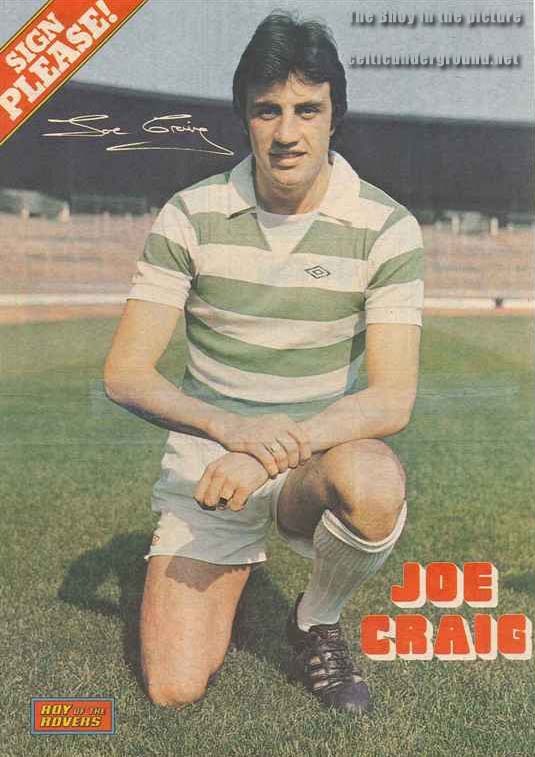 The heartbeat of Celtic had gone and a period in football’s wilderness beckoned. Douglas Beattie recently wrote his fine book regarding the Celtic centenary season of 1987/1988 and stated that it was difficult at first to get an interview with Mick down at Molineux, Wolverhampton, as he has a great mistrust of journalists. However after he heard the reason of the interview was with regards to his career at Celtic he was only too happy to share his happy memories of his time at Parkhead and gave Douglas a long and insightful interview which clearly showed he still has a great deal of affection for Celtic. Mick McCarthy may never have been Celtic captain but he was a highly influential leader on the field during his spell at Parkhead. Powerful in the air and strong in the tackle, the big man was ideal material for a centre half and despite his lack of pace he was able to make up for this with his fine positional play and reading of the game. Watching Match of the Day these days it always makes me smile when the big man appears. The gruff Yorkshire tone hasn’t changed much and I’m sure every Celtic fan who recalls Mick’s exploits in the Hoops will wish Mick and his Wolves side every good wish for the rest of the season. 1. The big man celebrates his goal against Hibs in 1989. 2. Mick scores that goal against Hibs at Hampden 1989. 3. Mick plants one on Tosh McKinlay. 4. Mick in action against Hamilton Accies. 5. Mick tussles with Kevin (Billy !) Drinkell during an Old Firm game. 6. Focus on Mick from Shoot, 1987. PreviousP/C – Establishment Bashing, Index Linking £6m & Trusts Last Hurrah?